While many advanced nations still indulge in feet dragging and random talk on crypto currencies, Dubai has sprung a few surprises with its positive attitude. Sheikh Saeed bin Maktoum bin Rashid Al Maktoum, a well known member of the ruling family in Dubai, has joined hands with a Dubai based network company to develop a new crypto currency. Jibrel Network the Dubai based technology firm, will be assigned with the task of launching jCash in the UAE. The project will be implemented on the Ethereum blockchain. A group of reputed financial institutions will facilitate trade liquidity on the blockchain. 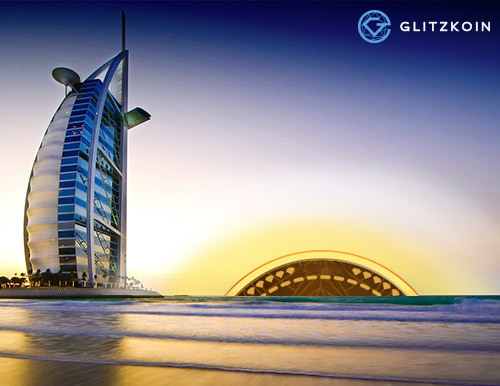 While this crypto project has the blessings of the Dubai royals, there is a flurry of private and public sector activity in blochain based technology projects in the country. It all started when Dubai’s Crown Prince Sheikh Hamadan, revealed his vision of the kingdom’s blockchain effort. The Prince wanted to see Dubai as the world’s blockchain capital by the year 2020. A couple of months before the news of the Sheikh Saeed bin Maktoum venture broke out, we heard another important piece of news from the Dubai crypto community. Regal a Dubai gold trader, became the first Middle East company to get a crypto currency trading license. The company will be able to store crypto currencies which include, BITCOIN and Ethereum in a vault located in the headquarters of the Dubai Multi Commodities Center (DMCC). The crypto world has a lot to rejoice about, Dubai and a host of other nations are now putting brain power into ways to govern cryptocurrency transactions. Not so long ago, we were in a situation where, several governments openly opposed cryptocurrencies, some of them even threatened their citizens with legal action if, they were caught trading in cryptos. Things have changed and we see an increasing number of nations realize that, the surge in crypto currency interest is bound to rise. Focus has now shifted to formulating legal norms and laws to manage the crypto world. Objectives can differ, while some nations are worried about these digital currencies being used to facilitate money laundering and terror funding, others are looking for ways to generate revenue by tracking crypto currency transactions and levying fees and taxes. No matter what the objective, the idea of accommodating the crypto world under formulated laws is welcome.